Even if you are not an avid movie viewer you may have seen or at least heard of the 1978 film Animal House. If that is the case, you may also know that it was filmed in Oregon, mostly in Eugene and at the University of Oregon. 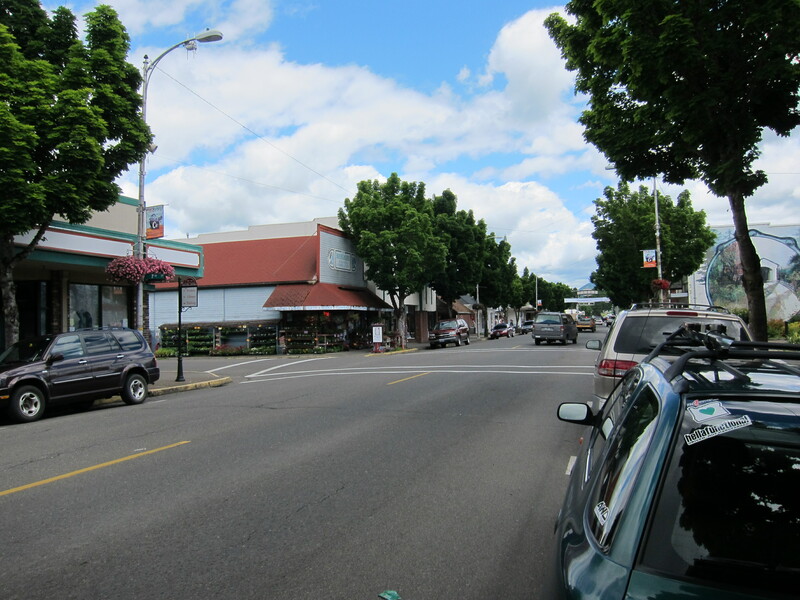 A few important scenes were filmed outside of Eugene, one of them was the Dexter Dance Club, in well, you guessed it right, in Dexter, Oregon. The other was the Homecoming Parade, filmed in Cottage Grove. 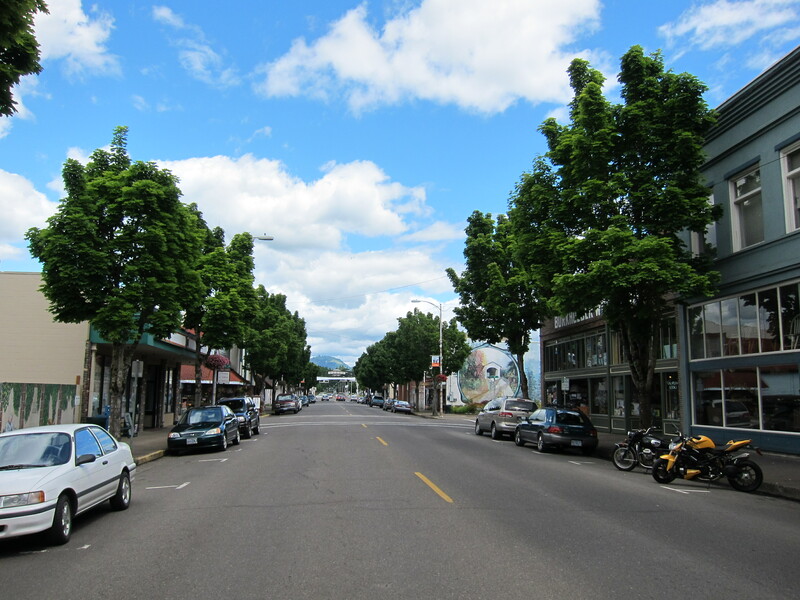 Cottage Grove is a small town of about 10,000 inhabitants, just 20 miles south of Eugene on its most direct route. I like to get there on least direct routes, to enjoy the scenery and the many nice curves of the Cottage Grove-Lorraine Highway, Territorial Road and the many other road options leaving Eugene. 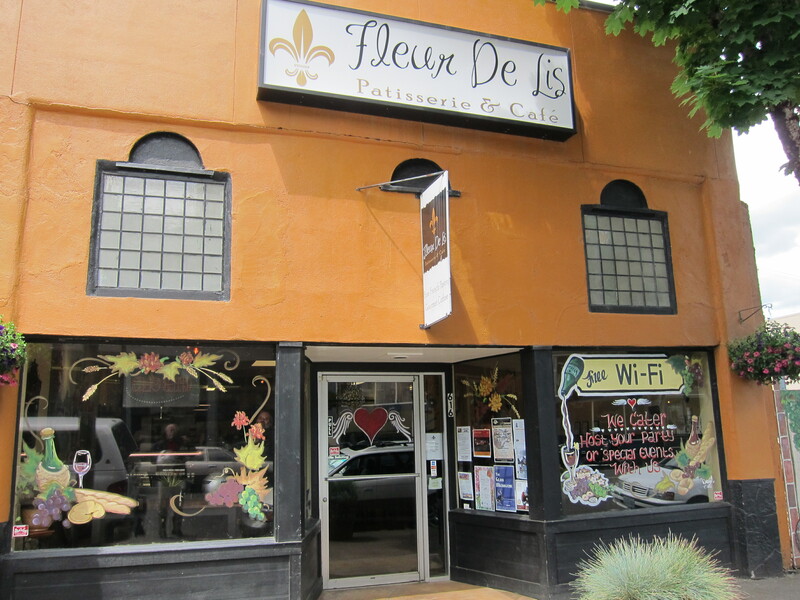 Once in Cottage Grove, you might as well get a cup of coffee at the Fleur the Lis. That’s what I did last Saturday. 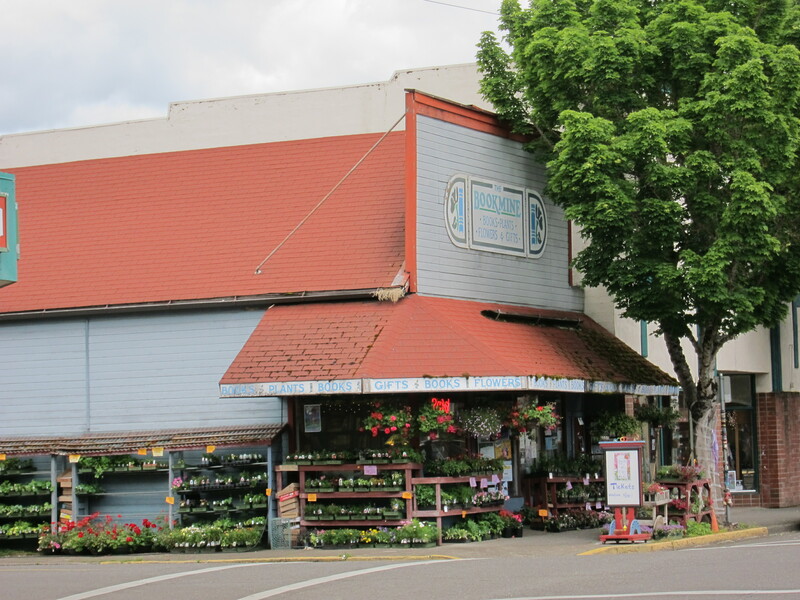 During the filming of the Homecoming Parade, several scenes were taken from the camera set just to the left of this building, facing the Homestead Furniture store, which was dark brown or gray at that time. The store is still there, now painted in blue. 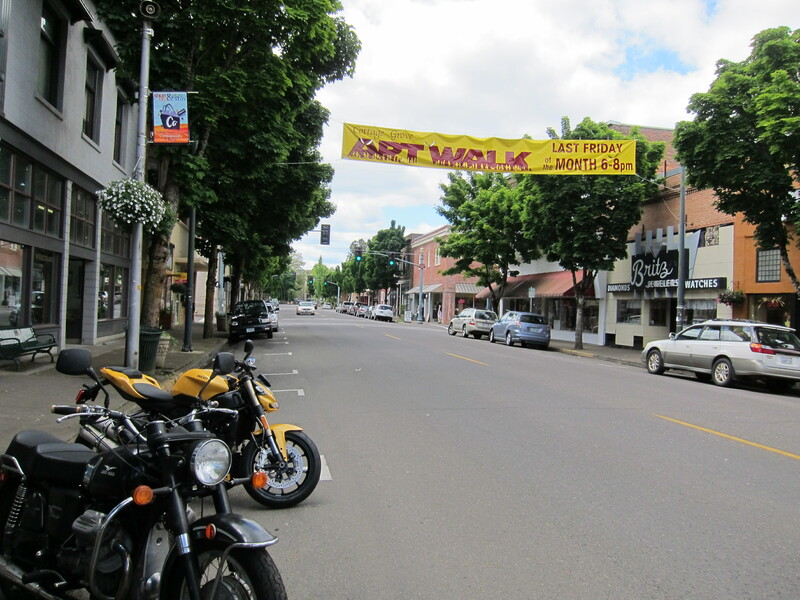 Stories are told, indicating that the actors enjoyed the Bookmine bookstore during the time they spent in Cottage grove for the filming of the Homecoming Parade scene. The Bookstore is still there as well. I can’t imagine John Belushi, of Blues Brothers fame, beyond Animal House, hanging out at the bookstore, though. Some of the railroad scenes of “Stand by Me” were also filmed in areas surrounding Cottage Grove. That was a short ride, thanks Doug for inviting me for this ride and for telling me the stories about the filming of Animal House. 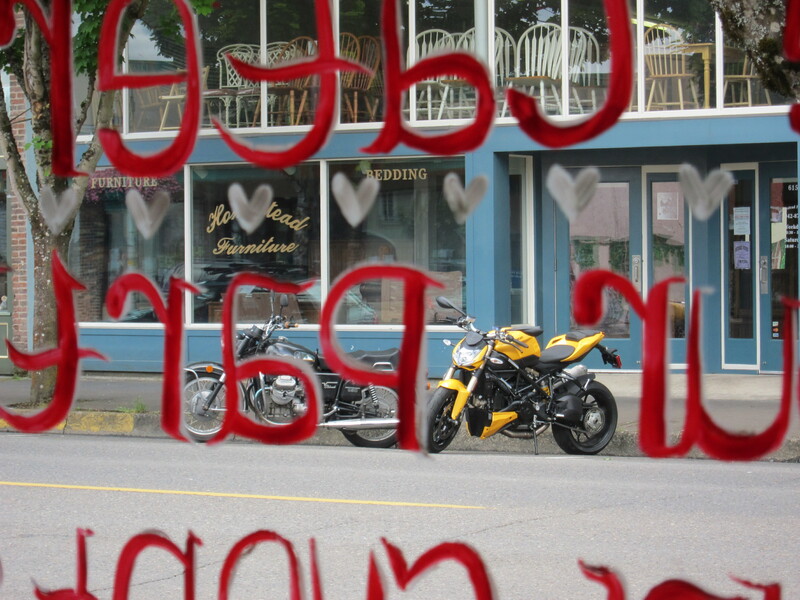 This entry was posted in Film Reviews, Riding the Ducati, Travel and tagged animal house, cottage grove, Ducati, homestead furniture, moto guzzi. Bookmark the permalink.